The use of inhibitor has been considered as one of the best method in reducing metal corrosion in offshore structure, oil and gas pipelines. Egg shell powder was investigated as a sustainable inhibitor for stainless steel corrosion in chloride medium using corrosion experiments. Response surface method (RSM) was used in obtaining the optimum operating conditions, interactive and main effect of the parameters inhibiting the stainless steel corrosion. R2 (Coefficient of determination) and ANOVA (analysis of variance) proved the RSM method appropriate for optimization of waste product inhibition on stainless steel. The predicted and experimental values from the model are in good agreement. The main effects of temperature and exposure time were found significant in inhibiting Type 316 stainless steel corrosion in sodium chloride medium whereas the effect of inhibitor concentration was less significant. The optimal inhibitor concentration, temperature and exposure time were found to be 5.63 g, 17.71 °C and 96.66 h, respectively. SEM/EDX analysis shows that egg shell was present on the stainless steel surface after weight loss test. This implied that stainless steel corrosion rate reduction could be as a result of egg shell powder present on the steel surface thereby forming a protective layer. 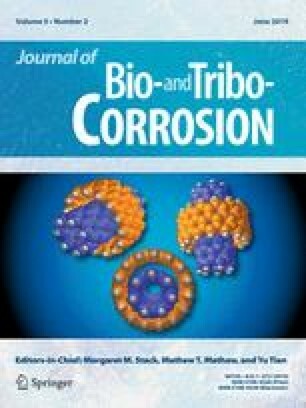 This study suggests that the egg shell powder regarded as waste is a promising green alternative corrosion inhibitor. This work is based on research supported by National Research Foundation of South Africa and Tshwane University of Technology.